Most democracies around the world undergo a process by which electoral boundaries of parliamentary and Assembly constituencies are redrawn every few years. This process — known as delimitation — is meant to ensure equal population across constituencies. India, the world's largest democracy, has redrawn the boundaries of its constituencies four times — in 1952, 1963, 1973 and 2002. 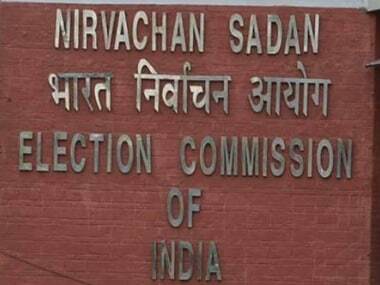 The first delimitation exercise was carried out without the formation of a delimitation commission under the Office of the President of India with assistance from the Election Commission. Delimitation is done to ensure that there are roughly an equal number of electors in each constituency. However, after the 1972 delimitation exercise, the Constitution (42nd Amendment) Act of 1976 froze the number of parliamentary and Assembly seats in each state till the 2001 Census. This was done after the Emergency to give states with higher fertility rates some time to bring down the figure. 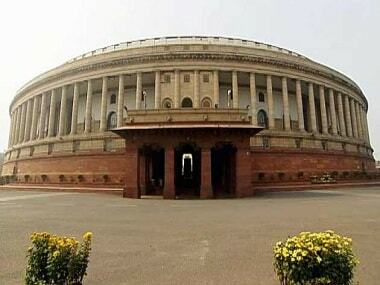 In 2001, however, Parliament surprised all with the Constitution (84th Amendment) Act, extending the freeze on the number of Lok Sabha and Assembly seats in each state till the first census after 2026 is published. This was done because states like Kerala, Punjab and Tamil Nadu would lose a number of seats as they had brought down their fertility rates, whereas poor family planning programmes had ensured that the population in Uttar Pradesh, Bihar and Rajasthan continued to be high. This would have affected the representation of states in the Lok Sabha. Nevertheless, electoral boundaries were redrawn, without affecting the number of seats, in 2002 under a delimitation commission. Delimitation is a complex and cumbersome exercise that requires meticulous handling as it involves politically and socially volatile issues. The process in 2002 took the longest time — it had to be extended twice — and was the most expensive. A delimitation commission is set up to undertake the exercise across the country. The last panel was set up on 12 July, 2002, with retired Supreme Court judge Kuldip Singh as its chairperson. Apart from the chairperson, the Chief Election Commissioner and state election commission chiefs are also part of the panel. In January 2008, the Cabinet Committee on Political Affairs decided to implement the Delimitation Commission, 2002, order. The then president Pratibha Patil had approved the recommendations on 19 February, 2008. The Karnataka Assembly election that year was the first where the newly-drawn boundaries of constituencies were brought into effect. The Delimitation Act of 2002 was promulgated to this effect. 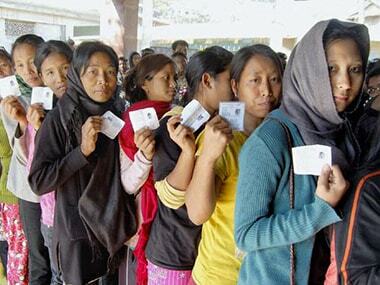 The process was completed for 3,726 Assembly and 513 Lok Sabha constituencies across 25 states. The aim of this exercise was also to ensure that every Assembly constituency fell wholly into one parliamentary constituency and that seats reserved for Scheduled Castes and Scheduled Tribes fell in places where the proportion of the population from these communities was comparatively larger. This is why the number of SC and ST seats increased, while the number of general seats dropped. Although all four delimitation commissions stayed silent on the methodology used to redraw electoral boundaries, there are multiple methods that can be employed — the Jefferson method, Hamilton method, Hill and Huntington method, Quota method, Webster method, etc. Of all these, the Webster method comes closest to the Indian context of one-person-one-vote. It does not favour larger or smaller states and allocates seats as close as possible to the "number of seats of average population size that each state could return", wrote AK Verma in the Economic and Political Weekly. 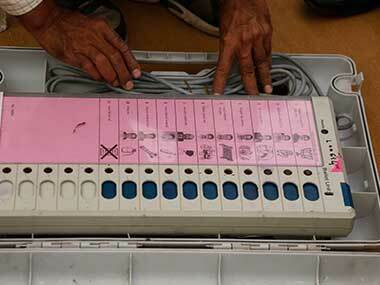 The 2002 delimitation exercise was deferred in Arunachal Pradesh, Assam, Manipur, Nagaland and Jharkhand till 2026, which means there was no change in the electoral boundaries in these states. In Jharkhand, even though the exercise was conducted, it had no legal effect under Paragraph 10B of the Delimitation Act, 2002. This is because the exercise would have reduced the number of reserved seats in the state, because of which there were protests by various quarters. The objective of delimitation is to not let the number of reserved seats decrease. The Gauhati High Court had stayed the exercise in Assam, Arunachal Pradesh and Nagaland after petitions challenged the legality of the 2001 Census. Both the 42nd and 84th amendments froze the number of Lok Sabha seats for a period of 50 years (1981 to 2031). This, according to Centre for Study of Delimitation chairman AK Verma, created several anomalies. 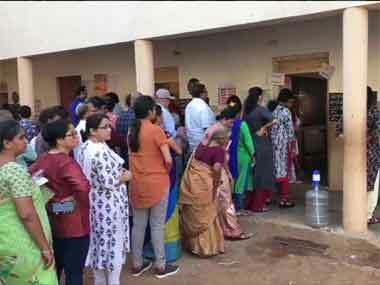 In an article published in the Indian Journal of Political Science, he wrote that while population continued to grow unabated, the freeze made "representatives over-representing representatives". This means that MPs are now representing a huge, unmanageable size of voters, which may also be why they are not in touch with their electorate. Apart from this, MPs are also not able to represent the same size of population in their respective Lok Sabha and Assembly constituencies due to differential population growth rates in various regions of a particular state. This adversely affects the principle of equality of votes as the value of votes lowers in thickly populated states in comparison to those in thinly populated states. The other problem is gerrymandering, i.e boundaries are redrawn in such a manner that it favours the outcome of an election for a particular party or candidate. While the most recent delimitation was largely fair and satisfactory, there were charges of malpractice and interference from the ruling party. Some politicians were also on the 2002 Delimitation Commission as associate members (with no voting rights), who were seen as trying to manipulate electoral boundaries for their benefit.